Scientists at the Yale University School of Medicine have shown that, in a rat model of spinal cord injury (SCI), intravenously delivered exosomes from bone-marrow-derived mesenchymal stem cells (MSCs) rapidly associate specifically with M2-type healing macrophages at the site of the SCI, but not in the uninjured spinal cord. 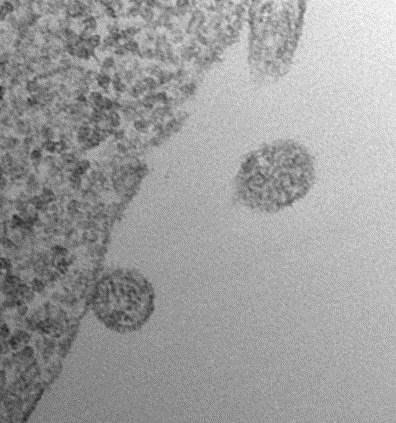 The researchers believe that their findings support the idea that such extracellular vesicles, released by MSCs, may mediate at least some of the therapeutic healing effects of IV MSC administration. The new work follows on a 2015 study (in Experimental Neurology), by members of the Yale group, that showed that IV infusion of bone marrow-derived MSCs improved functional and anatomical recovery after contusive SCI in the non-immunosuppressed rat, although the MSCs themselves were not detected at the spinal cord injury (SCI) site (http://www.sciencedirect.com/science/article/pii/S0014488615000679). The new work was published on January 2, 2018 in PLOS ONE. The open-access article is titled “Intravenously Delivered Mesenchymal Stem Cell-Derived Exosomes Target M2-Type Macrophages in the Injured Spinal Cord.” The authors also reported, in their new study, that the MSC exosomes were also detected in the spleen, which was notably reduced in weight in the rats with SCI. The researchers noted that further work is need to needed to determine whether IV exosomes fully replicate the therapeutic actions of MSCs on SCI recovery, as well as to elucidate the possible role of the spleen in SCI recovery. The authors of this work are Karen L. Lankford, Edgar J. Arroyo, Katarzyna Nazimek, Krysztof Bryniarski, Philip W. Askenase, and Jeffrey D. Kocsis, all affiliated with the Yale University School of Medicine. University of Montana (UM) researchers have made a discovery at the cellular level to help understand the basic processes of all life on our planet - this time within the unusual bacteria that has lived inside cicada insects since dinosaurs roamed Earth. During the past 70 million years, the bacteria underwent extreme adaptations to live within the insects' bodies, losing between an estimated 95 to 97 percent of their genes and resulting in some of the smallest genomes known to any organisms. In the process, they lost the ability to live anywhere outside of cicadas. "Cicada symbiotic complexes are very different from any other known organism," said Matt Campbell, a UM graduate student who studies cicadas in UM Biology Associate Professor John McCutcheon's lab, based in the Division of Biological Sciences. Many insects live in very close associations with symbiotic bacteria. These bacterial symbioses are critically important for insects that consume only one type of food that is missing some essential nutrients. Examples include blood-feeding lice, as well as insects that feed on plant sap - aphids, leafhoppers, and cicadas. The UM research has shown that cicadas' symbiotic bacteria produce amino acids and vitamins that their insect hosts require to grow and reproduce. During three field seasons studying a South American cicada, UM postdoctoral researcher Dr. Piotr Lukasik found that many of the species' single symbiotic bacterium evolved into complexes of several different types of bacterium in the same cicada. "Through that process, individual bacteria have lost many genes and now depend on each other because every type contains unique, essential genes," Dr. Lukasik said. A new study has exposed the common treeshrew, a small and skittish mammal that inhabits the tropical forests of Southeast Asia, as an ecogeographical rule breaker. According to the study, published online on January 4, 2017 in Ecology and Evolution, Tupaia glis, the common treeshrew, defies two widely tested rules that describe patterns of geographical variation within species: the “island rule” and “Bergmann's rule.” The open-access article is titled “Rule Reversal: Ecogeographical Patterns of Body Size Variation in the Common Treeshrew (Mammalia, Scandentia).” The island rule predicts that populations of small mammals evolve larger body size on islands than on the mainland, whereas island-bound large mammals evolve smaller body size than their mainland counterparts. Bergmann's rule holds that populations of a species in colder climates, generally located at higher latitudes, have larger body sizes than populations in warmer climates, which are usually at lower latitudes. In order to determine treeshrew body size from populations on the Malay Peninsula and 13 offshore islands, the researchers measured 260 specimens collected over the past 122 years and housed in 6 natural history museums in Europe and North America. 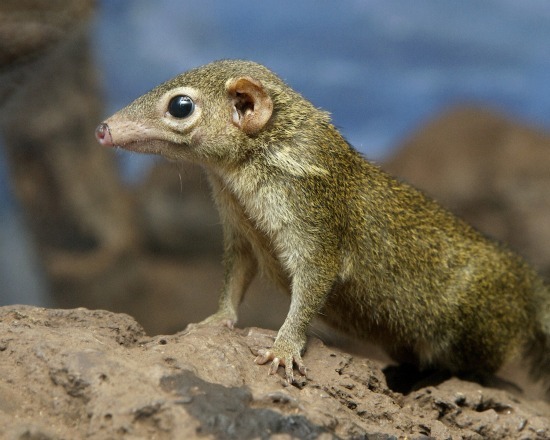 The researchers tested multiple variables, analyzing how island size, distance from the mainland, maximum sea depth between the mainland and the islands, and latitude relate to body size in the treeshrew populations. They found that the island rule and Bergmann's rule, which are rarely tested together, do not apply to common treeshrews. The study revealed no size difference between mainland and island populations. It also revealed that treeshrews invert Bergmann's rule: individuals from lower latitudes tended to be larger than those located at higher latitudes. Researchers at the University of Oxford have discovered that a cellular mechanism preferentially protects plant genes from the damaging effects of mutation. Whilst DNA sequence mutation is the fundamental fuel of species evolution, mutations in genes are often harmful. As a form of defense, organisms have evolved repair mechanisms to correct the DNA sequence following mutation. One of these mechanisms, is termed DNA mismatch repair (MMR). It corrects mutations that arise during the replication of the genome during cell division. A new study, published in the January 2018 issue of Genome Research, has shown for the first time that MMR is targeted to particular regions of the genome, and preferentially repairs genes. The article is titled “DNA Mismatch Repair Preferentially Protects Genes from Mutation.” The research was carried out in the Department of Plant Sciences, together with colleagues from Zhejiang University (China) and Lahore University of Management Studies (Pakistan). Led by Oxford's Professor Nicholas Harberd, the team looked at 9,000 mutations accumulated in five generations of an MMR-deficient strain of the model plant species Arabidopsis thaliana, and compared them with mutations arising in an MMR-proficient strain. The study has important implications for human health, and is particularly useful for understanding the changes that occur in cells during the development of the tumors that underlie cancers. MMR-deficiency predisposes cells to become tumorous, presumably because MMR-deficient cells lack the gene protection that reduces the risk of mutation in the genes that normally suppress tumor formation. The team has no plans to expand on these implications, but would welcome interest from anyone keen to follow up the study from a medical science perspective.